Historic settlement mounds, known as tels, are characteristic of the flatter lands of the eastern Mediterranean, particularly in Lebanon, Syria, Israel and eastern Turkey. Of more than 200 such mounds in Israel, the three sites of Megiddo, Hazor and Beer Sheba are representative of those that contain substantial remains of cities with biblical connections and are strongly associated with events portrayed in the bible. The three tels extend across the State of Israel; Tel Hazor in the north, near the Sea of Galilee; Tel Megiddo 50 kilometers to the south-west; and Tel Beer Sheba near the Negev Desert in the south. The three sites reflect the wealth and power of Bronze and Iron Age cities in the fertile biblical lands. This was based on, and achieved through, a centralized authority that had control of trade routes to the northeast and south; connecting Egypt to Syria and Anatolia to Mesopotamia, and the creation and management of sophisticated and technologically advanced water collection systems. Together, these tels reflect the key stages of urban development in the region. Tel Megiddo is by far the most visited of the tels for two reasons. 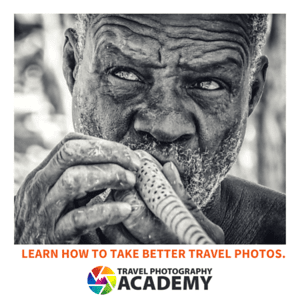 First, it is located on the road between the Sea of Galilee and Tel Aviv/Jerusalem. This makes it a convenient stop for tour buses traveling between the two. Second, Megiddo in English is Armageddon, which is where some people believe the last battle in history will take place. The first humans settled this site approximately 9,000 years ago and the last use of the site was by the Roman army approximately 2,000 years ago. There was a large Roman army outpost just outside the tel, which was the largest in Roman province of Palestine, outside of Jerusalem. The tel was used by the Romans as a cemetery. The tel is located along a highway which was once the location of an ancient trade route. Excavation began here in the early 20th century and effects of this excavation are still seen today. The techniques used back then were very crude and destructive. Their original intent was to completely remove everything. The only reason that didn’t happen is that they ran out of money. As such, the appearance of Tel Megiddo is very different from the other two world heritage tels. Tel Hazor is located in the north of Israel, close to the Golan Heights and the Sea of Galilee. It is the largest of the 3 sites by area, but it appears smaller than Tel Megiddo simply because less of it has been excavated. It gets the fewest visits of any of the 3 world heritage tels due to its location. Hazor was a Canaanite settlement which was later resettled by Israelites approximately 1,300-900BC after this city of destroyed. Like Tel Megiddo, there is a rich farmland in the area surrounding the tel and it isn’t difficult to envision how a large community could have thrived there. 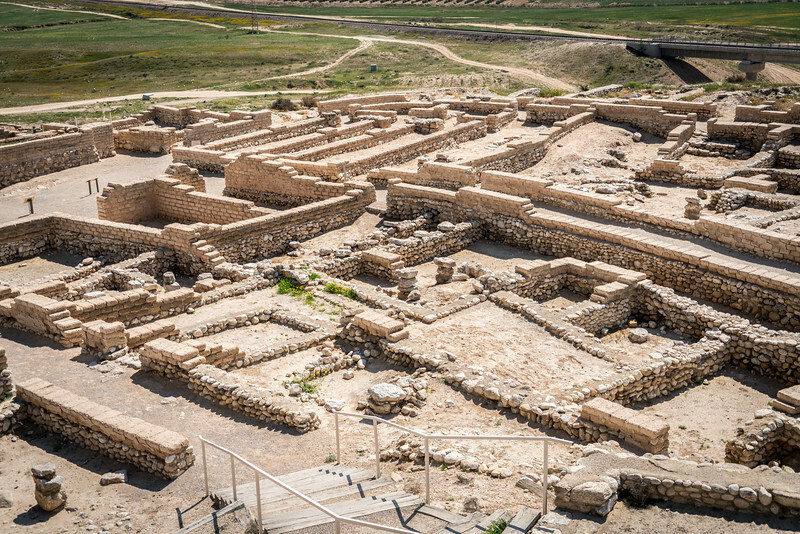 Tel Beer Sheba is the ancient city from which the modern day city of Beersheba gets its name. The tel is located right outside the town and you can clearly see the skyline of the city from there. Beer Sheba is mentioned 33 times in the Bible, which is the most of any of the biblical tels which are world heritage listed. All of the tels are best reached by car, or on guided tour. Their locations make them difficult to reach by public transportation, especially Tel Hazor. Directions to each of the site can easily be found on Google Maps. Tel Megiddo – On highway 66 between Megiddo junction and Yokne’am junction. 30km/20mi from Haifa and 10 miles, 18km from Nazareth. Tel Hazor – Off highway 90, approximately 25 miles/43 kilometers from Nazareth. Tel Beer Sheba – Off the Beersheba/Shoket Junction road approximately 2 miles outside of Beersheba. 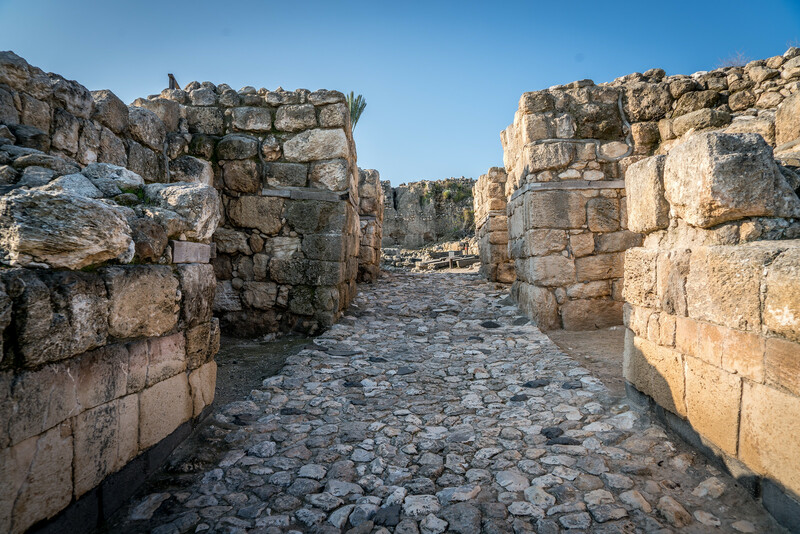 The Biblical Tels – Megiddo, Hazor, Beer Sheba is a cultural UNESCO World Heritage Site in Israel. This prehistoric and archaeological site was inscribed in 2005. These biblical tels represent biblical connections and the substantial amount of remains in the area. Tells are prehistoric settlement mounds that are mostly found in the Middle East area. There are an estimated 200 tells in Israel; however, only 3 of these are recognized by UNESCO for its biblical and cultural value. The Biblical Tels – Megiddo, Hazor, Beer Sheba are discovered to contain significant remains during the excavations done on the site. 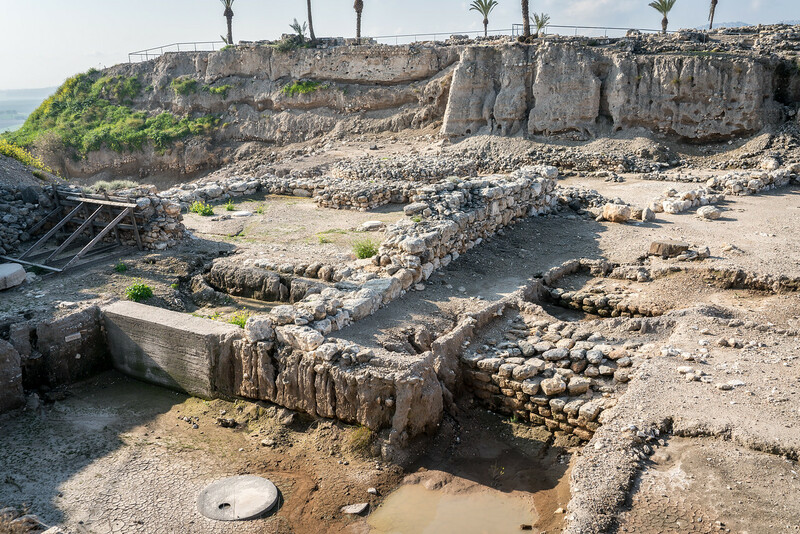 The Biblical Tels – Megiddo, Hazor, Beer Sheba are recognized for their outstanding universal value because excavations revealed that they contain multi-layered settlements. These settlement mounds have formed over a period of several millennia. In addition, their biblical connections also add more to the value of these sites. 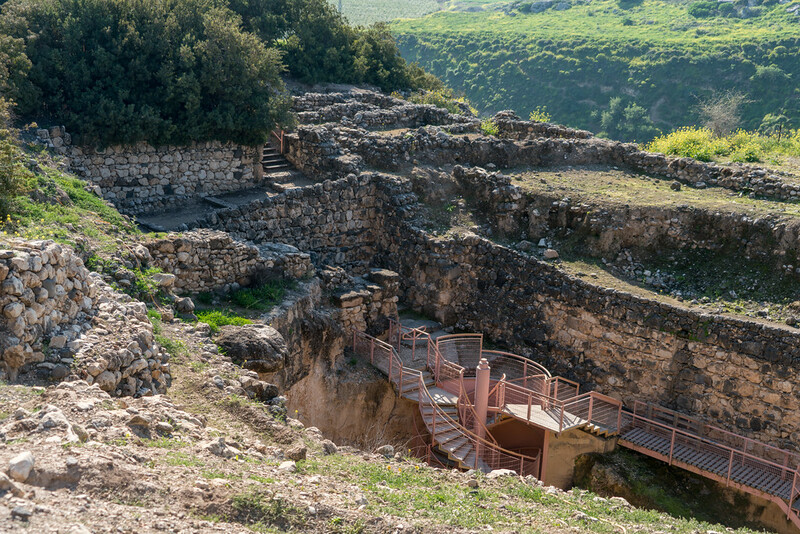 The archaeologists who performed excavations at the Biblical Tels theorized that these were strategic locations chosen specifically by the former inhabitants. They were located near the important trade routes. Also, their proximity to the source of water supply is another important factor why they were chosen as the location of the tels. They are collectively known as “The Biblical Tels” because that is also how they were referred to in the Old Testament Bible. There are three main criteria that were used by UNESCO in determining the cultural value of the Biblical Tels – Megiddo, Hazor, Beer Sheba. First off, the tels showcase how the location near the trading route resulted in an exchange of ideas between East and West. This is evidenced by the styles of buildings in Egypt and Israel that had influences from both. Next, it also provides a rare glimpse into the way of life and the conditions of those who lived in the area during the Bronze Age and biblical times. Finally, the fact that the three tels were mentioned in the Bible further adds to their significance. Tel Hazor: This tel is located in Northern Israel and consists of some of the best examples of ancient ramparts in the region. The palaces and temples within the site are also among the best in the Levant. More importantly, there are several monuments such as gates, complex water system, and tunnel found in this tel to add to its cultural significance. Tel Megiddo: This tel is notable for having quite an astounding array of temples that date back to the early Bronze Age. This compound is also noted for evidence of ritual activity. In addition, this mound is considered a powerful Canaan settlement. Tel Beer Sheva: The archaeological findings in this tel reveal an oval-shaped and Iron Age town plan. This kind of town planning is unparalleled in the Levant. It features a central square with an underwater drainage system. This tel was excavated only in the 1960s but quite a few remains and archaeological ruins have been uncovered already. View the complete list of UNESCO World Heritage Sites in Israel.